The LS is best choice to run production of large panels in extended lengths. 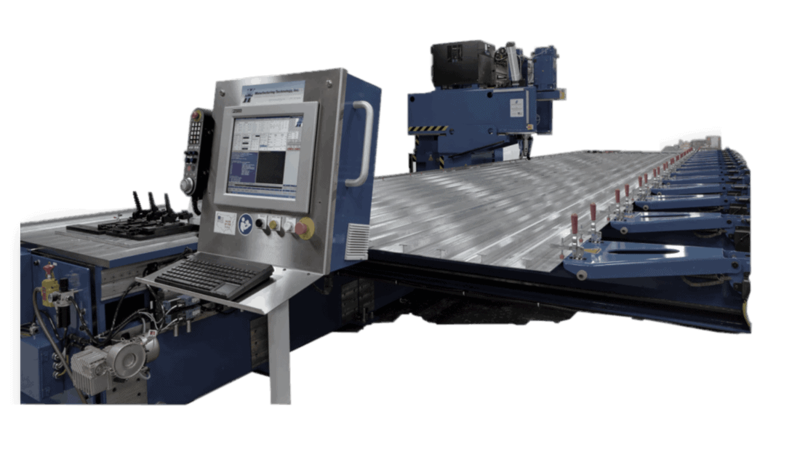 Building on the capabilities of the RM, the LS is a great choice of a machine to run production of large panels in extended lengths. For heavy section welding the LS is available in an O-Frame configuration for increased rigidity and force requirements. The table sections are modular and can be configured in any length desired. The LS is not limited to welding narrow extrusions to create large panels. With an extended throat, wide plates can be welded to create larger panels such as aluminum or steel ship cladding. The LS is used primarily in ship deck and railcar industries, but it offers flexibility to accommodate numerous applications including electronic enclosures and computer components to electric vehicle battery trays. When the LS machine is set up with an appropriate part clamping system, seam tracking and high speed data capture, it makes an unbeatable production system for friction stir welding of large extrusions. 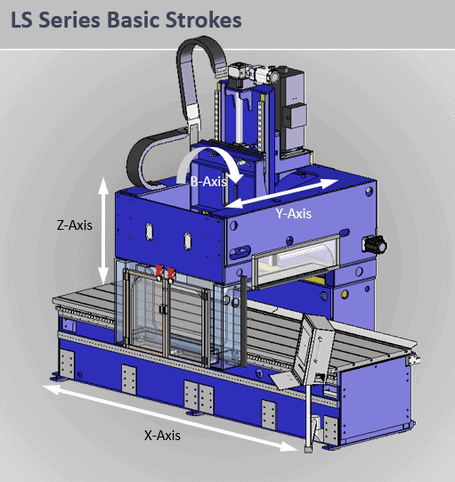 FIND OUT IF OUR LS SERIES FSW MACHINES OFFER THE RIGHT SOLUTION FOR YOUR PRODUCTION NEEDS. Expandable fixed table, moving C-frame dual pinion driven, servo actuated, on precision ground rails. Transversing spindle carriage, ball screw driven, servo actuated, on precision ground rails. Forging bridge, ball screw driven, servo actuated on precision ground rails. 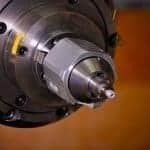 Spindle rotation about Y-Axis, servo driven ball screw or manually actuated on precision pivot pins. Available with a secondary lower weld head for simultaneous welding from top and bottom, beneficial for hollow web section extrusions containing two weld joints opposite each other. Servo drive rack and pinion riding on precision rails. 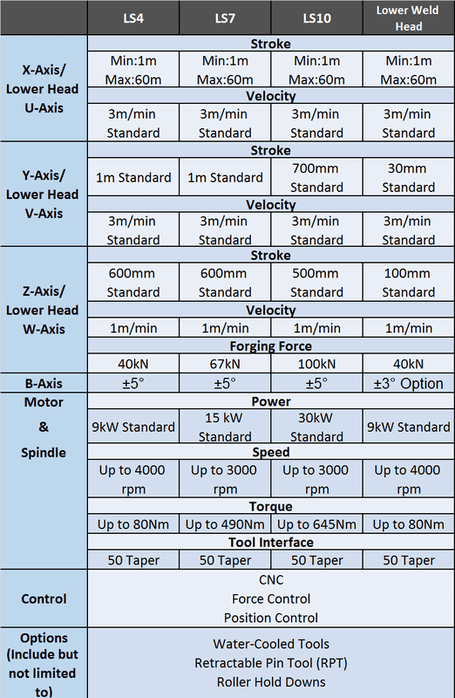 Stroke matches X-Axis stoke of main machine. Servo driven ball screw riding on precision linear rails.